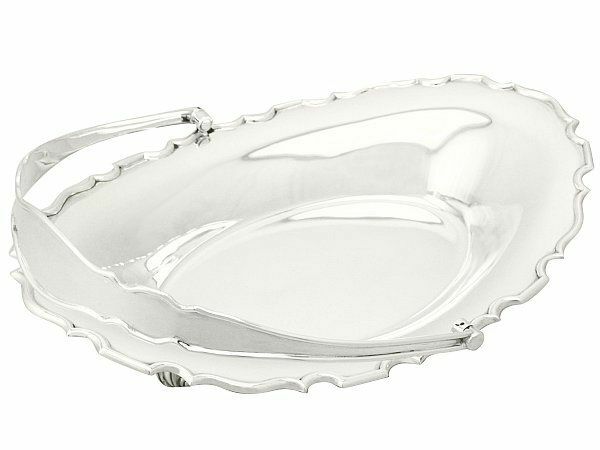 This fine antique George V sterling silver cake / fruit basket has a plain oval shaped form. The surface of the basket is plain and unembellished. 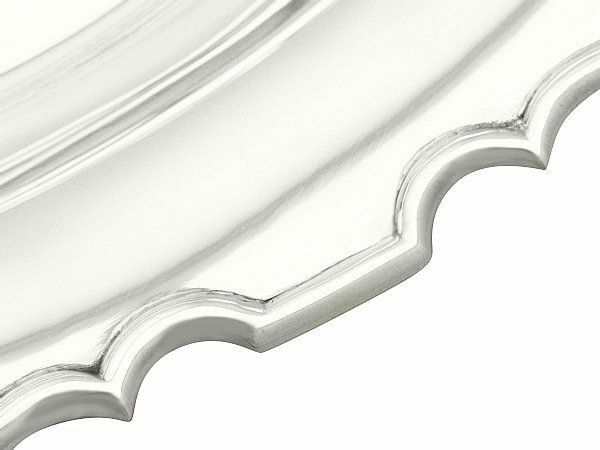 The shaped Chippendale style rim is ornamented with an applied moulded border. 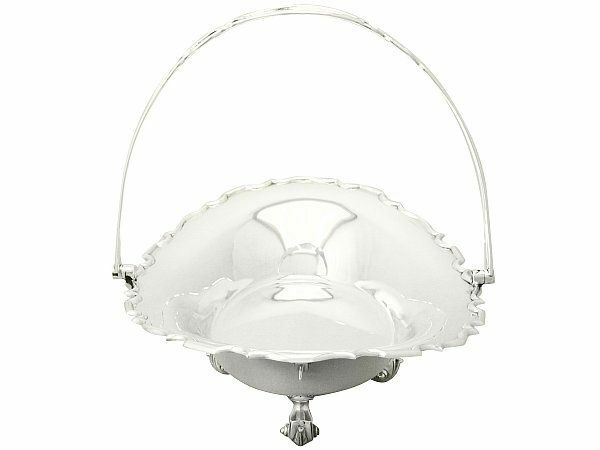 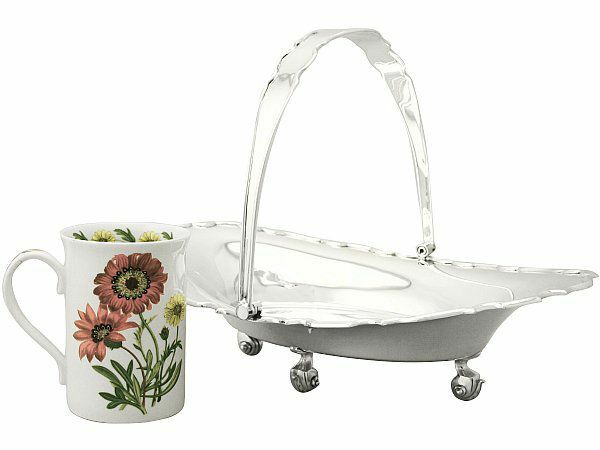 This antique silver basket retains the original hallmarked swing handle, ornamented with further applied moulded decoration to the shaped rim. 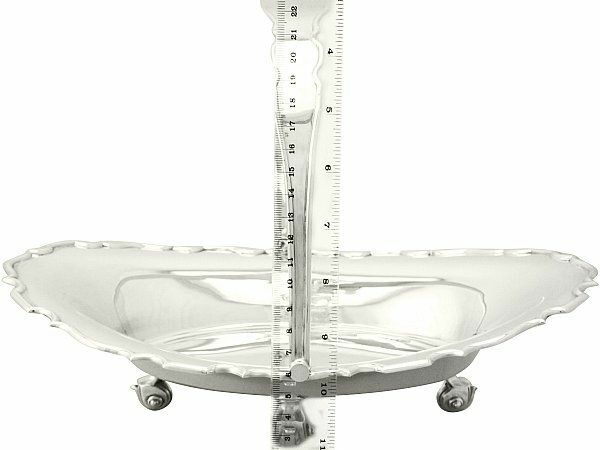 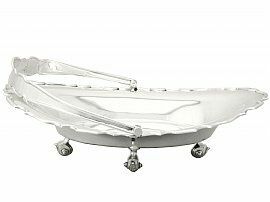 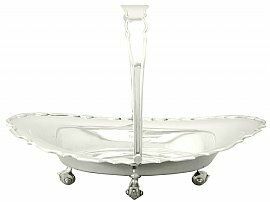 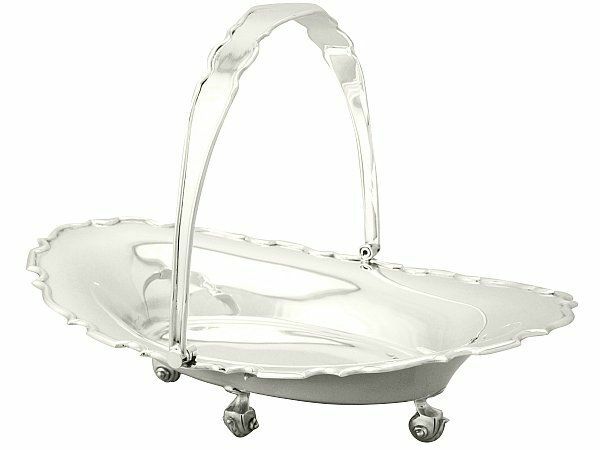 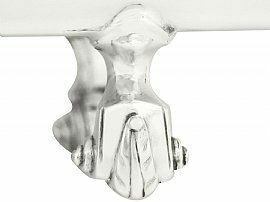 The basket is supported by four fine and impressive hoof style volute scrolling feet accented with central leaf designs. 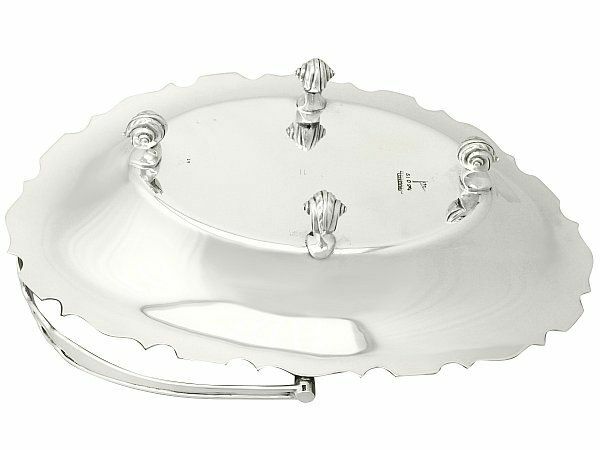 The underside of this impressive sterling silver fruit basket bears the retailer's mark 'Walker & Hall, Sheffield'. 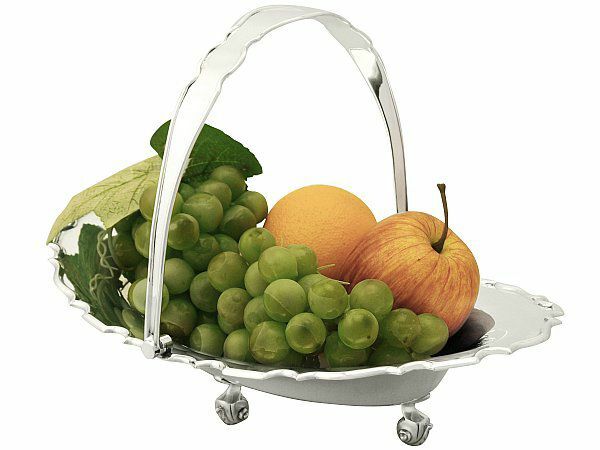 This antique sterling silver fruit basket is a very good gauge of silver, fine quality and in exceptional condition. 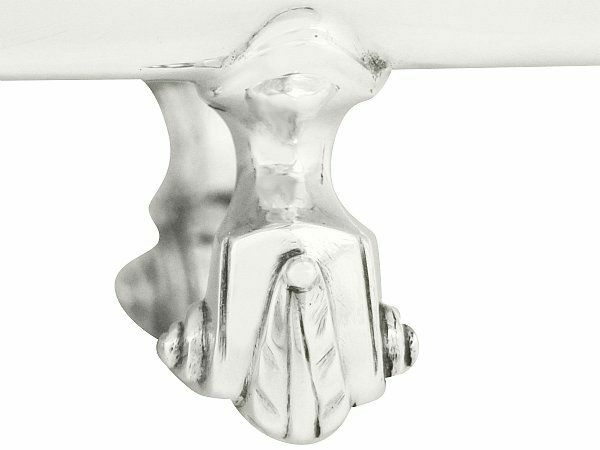 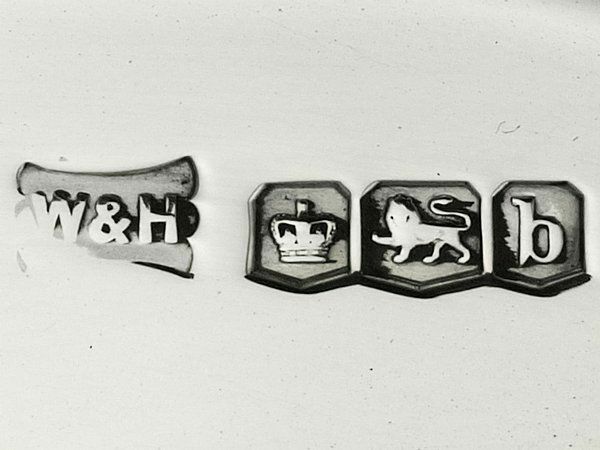 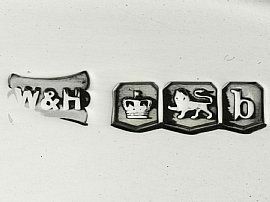 Full hallmarks struck to the surface of the well of the basket and part hallmarks to the handle are all very clear; the first portion of the maker's mark has wear due to the location, but remains legible. Reflections in photographs may detract from the true representation of this antique silver basket.